NCIS: LA/ Hawaii Five-0 Crossover Event! 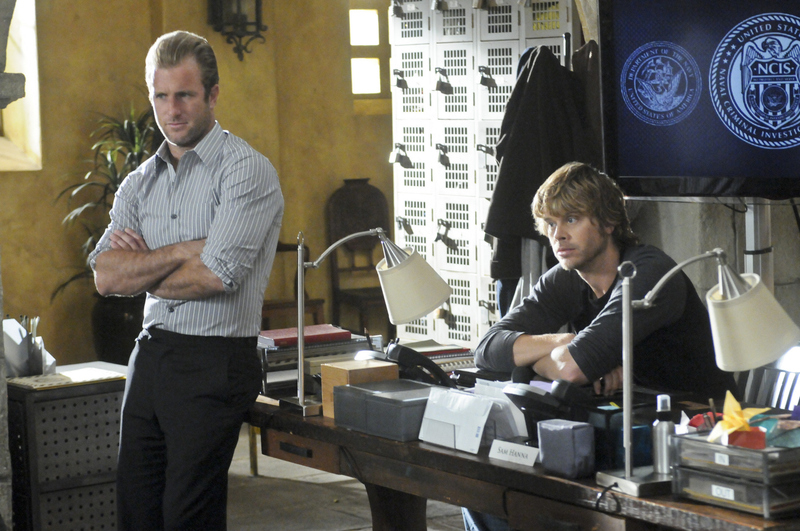 Scott Caan (Hawaii Five-0 Detective Sergeant Danny Williams) and Eric Christian Olsen (LAPD Detective Marty Deeks). The joint NCIS: Los Angeles and Hawaii Five-0 task force travel from Hawaii to Los Angeles, when the lead suspect in the case moves to the mainland with a deadly virus in tow, on NCIS: LOS ANGELES, Tuesday, May 1 (9:00-10:00 PM, ET/PT) on the CBS Television Network. Scott Caan guest stars as Hawaii Five-0 Detective Sergeant Danny Williams and Daniel Dae Kim guest stars as Hawaii Five-0 Detective Lieutenant Chin Ho Kelly. Photo: Richard Cartwright/CBS ©2012 CBS Broadcasting Inc. All Rights Reserved.